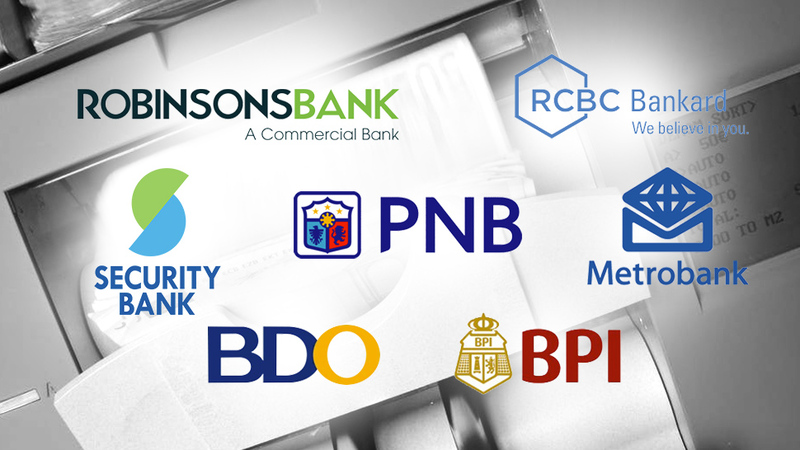 While most banks will be closed in observance of the special holidays, some of the country's largest banking firms have announced that a few of their branches will operate in the next few days. In this page, we compiled all announcements made by large banks on their respective holiday schedules, based on their official websites and official Facebook pages. With hundreds of banking firms in the Philippines, we limited our search to the country's twenty largest by assets. As they are regular banking days, all Philippine banks will follow their regular banking schedules on December 26, 27 and 28, as well as on January 2. In contrast, all bank branches will be closed on December 25 and January 1 in observance of Christmas and New Year's Day, except for certain branches detailed below. Most BDO branches will be open on December 24—a full list can be found here. Some BDO branches will also be open on December 30 and 31—those open on the 30th will mostly be branches located inside malls, while several branches outside malls will be open on the 31st. Furthermore, certain BDO branches are normally open on Saturdays and Sundays, which means that they will also be open on December 22, 23 and 29. Several Metrobank branches will be open on December 22 and 29, while only a select number will be open on December 23, 24, 30 and 31. For more information, click here. Several BPI branches have implemented extended banking hours on regular banking days until January 3, with some also being open on December 22 and 29. BPI released a full list of these branches on this page. Select PNB branches will be open on December 22, 23, 24, 29, 30, and 31 each with their own banking hours. It also announced that the PNB branches in NAIA will be open on January 1. For the full list, click here. Only Security Bank's branches in NAIA Terminals 1 and 3 will be open on December 24 and 30. However, in addition to its branches that normally operate on weekends, three other branches will be open on December 29, which the bank details on this page. Chinabank has released a full schedule of branches that will be open on December 22, 23, 24, 29, 30 and 31. Check out this announcement to see which branches will be open on those dates. Several RCBC branches around the country will be open on December 24 and 31. Some RCBC branches in the Visayas will also be open on December 22, 23, 29 and 30. For a full list, click here. A select number of Robinsons Bank branches will be open on December 31, which the bank listed on this page. In addition, United Coconut Planters Bank (UCPB), Asia United Bank (AUB)and HSBC Philippines have all announced that their branches will only be open during the regular banking days. All other banks that belong to the Top 20 in asset size but are not listed on this page have not announced their holiday schedules as of the time of writing.